Zearn Math is a web and tablet application that is tied directly to the Eureka/Engage NY math curriculum. 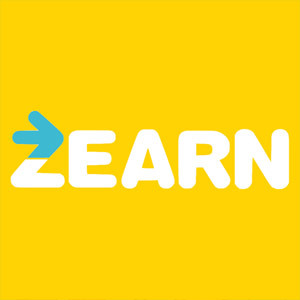 Zearn allows teachers to set up classes so that they can monitor student progress and provide interventions when needed. Many teachers in the district are already using the free version with there students. 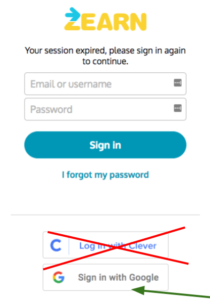 And, while many schools have Zearn as an application option in their Clever portal, students can not use the “Log In with Clever” option. This option requires a paid enterprise account. Luckily, by signing into either their Chrome device or to the Chrome browser they are already signed in with Google and can just click that button on the sign in page to access Zearn. For this to work correctly, the teacher must set up Zearn student IDs so that they match the students district Google IDs. This can be done when adding students for the first time or can be edited by the teacher if classes have already been set up. Make sure that the ID in Zearn is the student’s complete email address: (ex.) smitjj1234@wwcsd.org. To setup a class roster; log in and click on roster at the top of the homepage. From the roster page, you can add classes and students. Zearn asks for the students’ names and then generates logins and passwords automatically for each student. You can save some time by putting the student email addresses in when asked for the student name. Because it is looking for a first and last name, a space needs to be entered to simulate an actual name. I suggest putting it in after the “@” symbol. Doing this will create a username that is equivalent to the student’s Google ID, and therefore does not need to be changed on the next page of the rostering form. The auto-generated password does not need to be deleted if the username is the student’s email address.